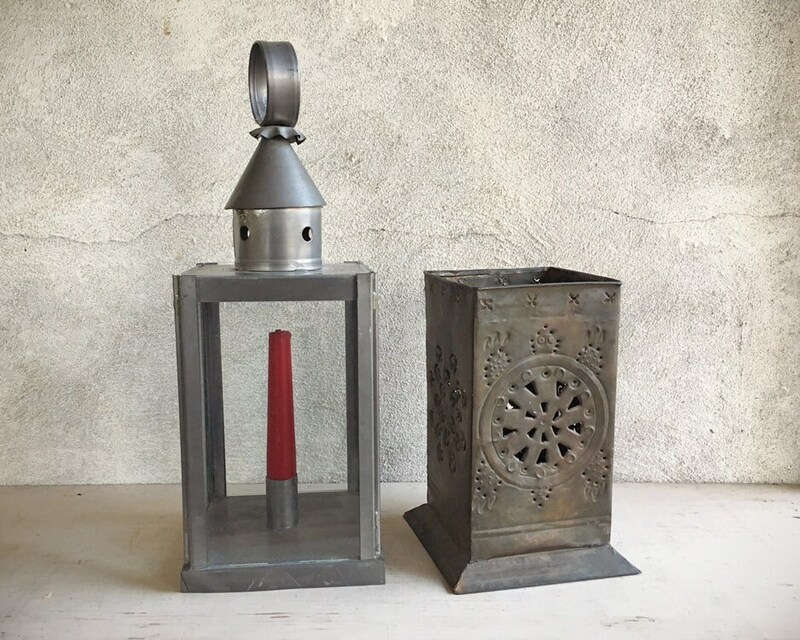 These two candleholders did not come together yet make a wonderful set for the person who collects rustic Mexican decor. 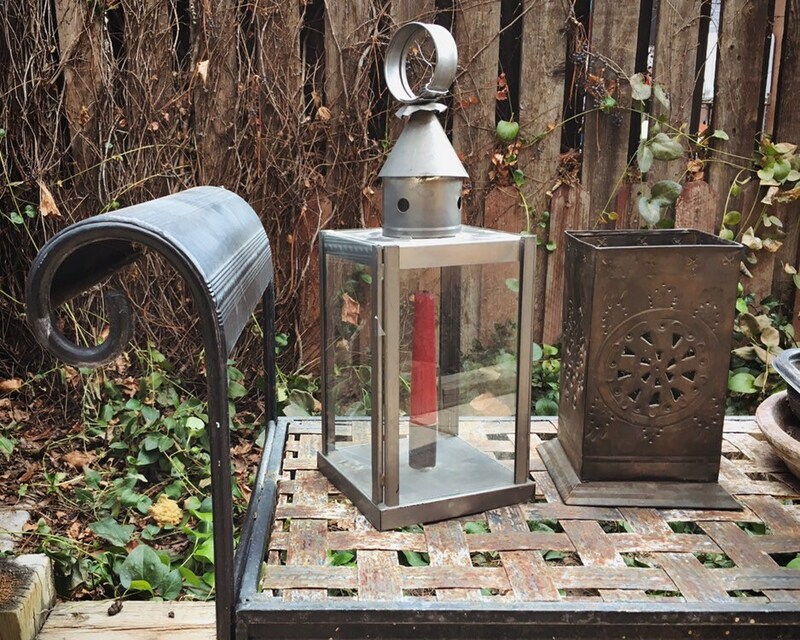 What's so great about these two pieces is that they're not only lovely, they are functional. 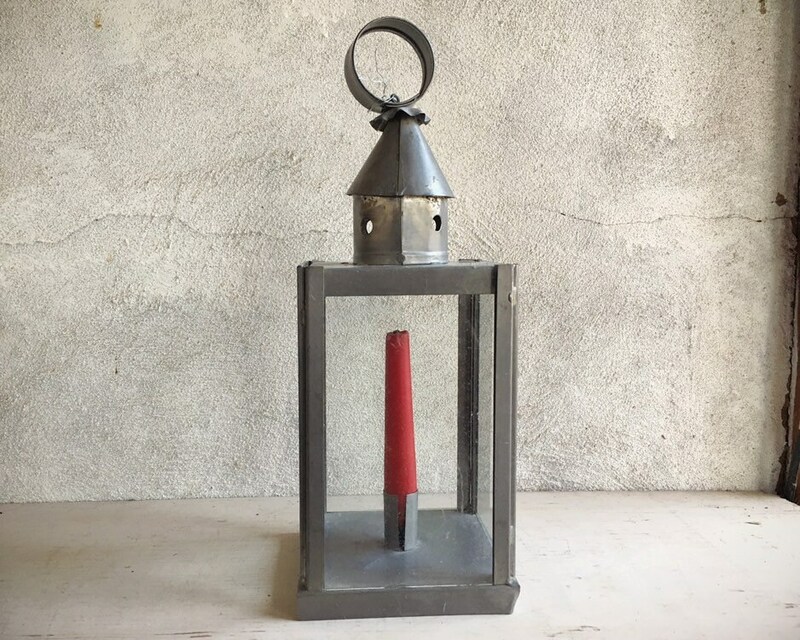 The hanging lantern is an older traditional style with four pieces of glass. The glass slides up out of each side. 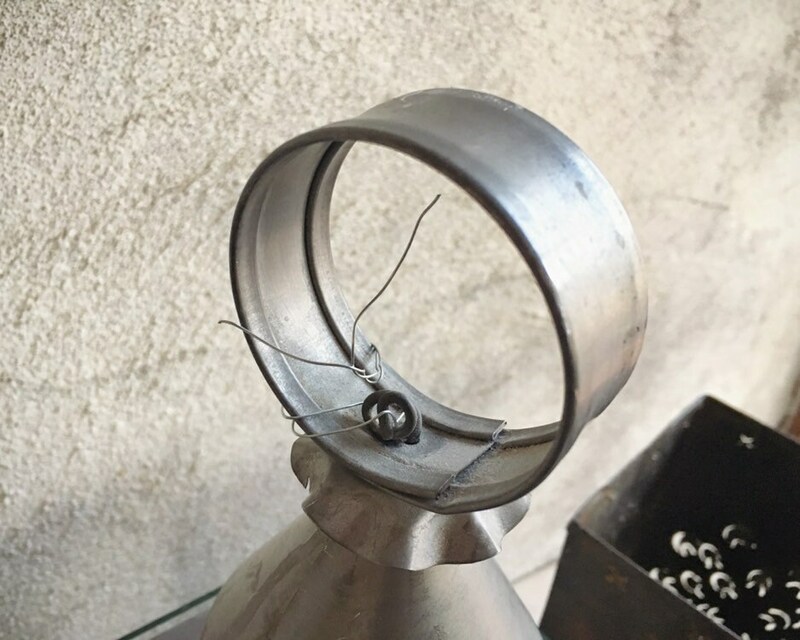 One condition issue is that the round hanger is wired to the rest of the hanger. 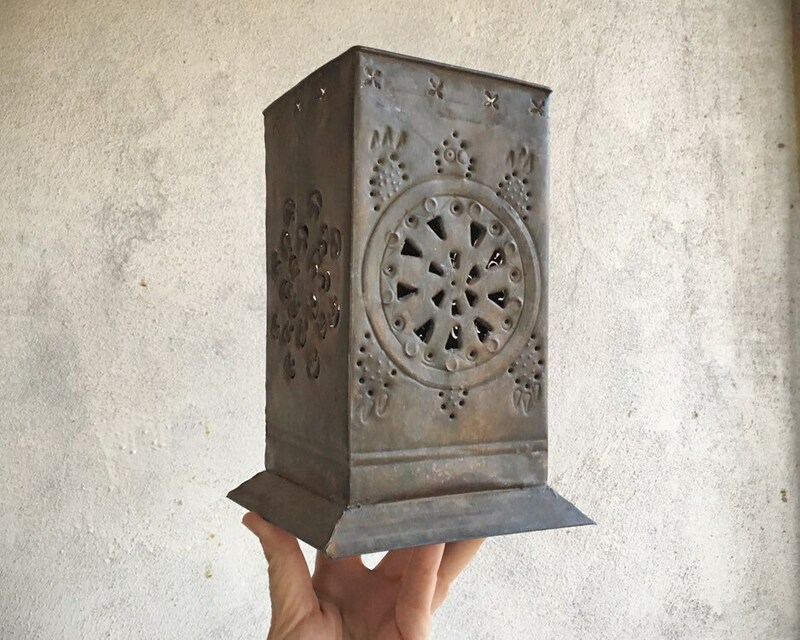 The other piece is an older punched tin candleholder in the style of the "luminaria" or "farolito." The small holes in the sides reflecting out patterns of light. They two pieces look quite nice together even though they are different. What holds them together is the fact that they're both Mexican. 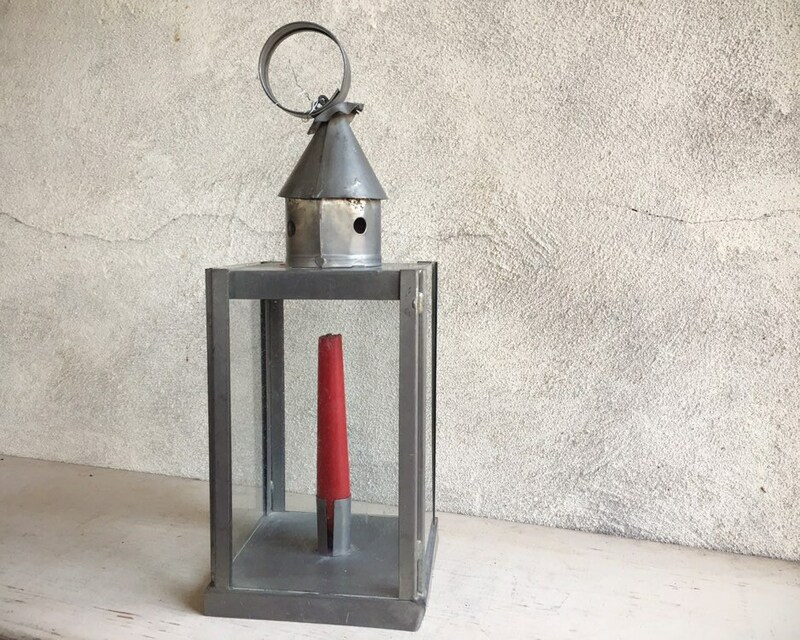 The glass and metal piece measures about 16" tall and the glass "box" part of it is 9" tall. Base is 5-3/4" square. 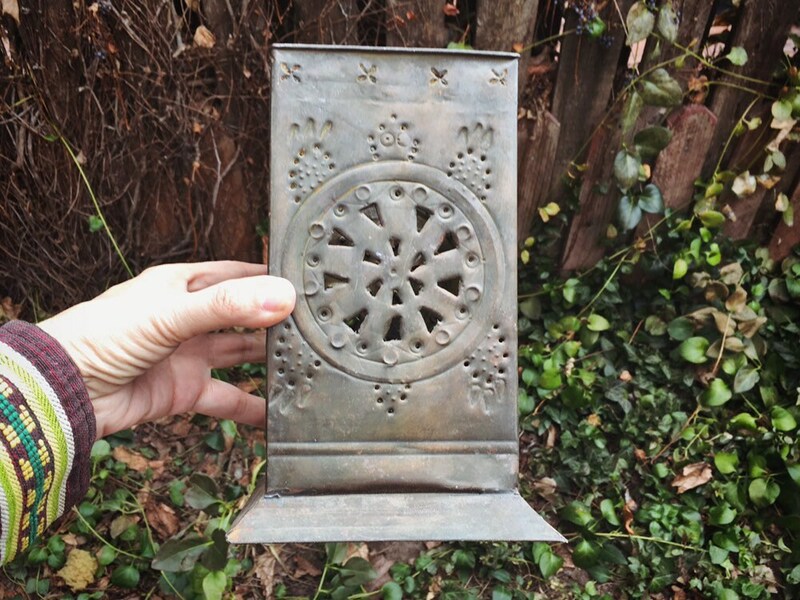 The punched tin piece is about 8-3/4" tall and the base about 5-3/4" square. 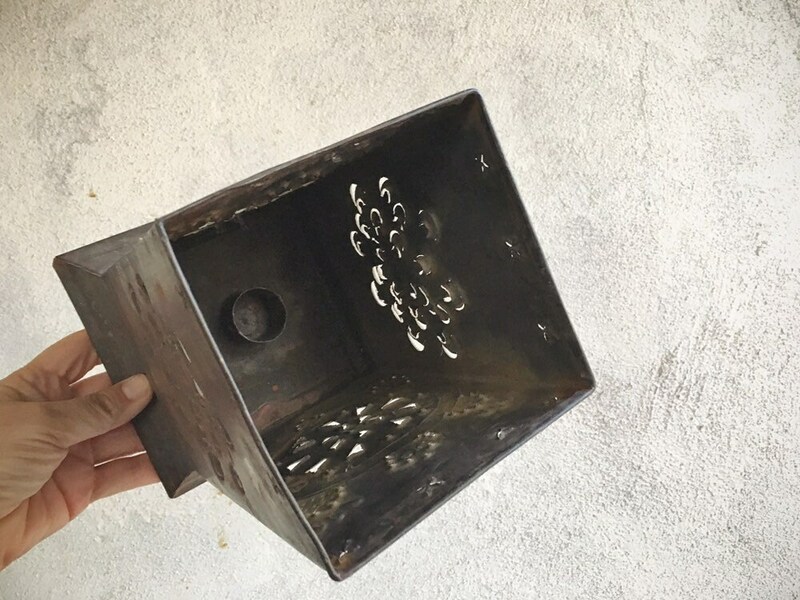 The punched tin piece is tarnished and rusty. The glass and metal piece has the "patched together" hanger at the top, but the glass is in good condition--no cracks or chips. 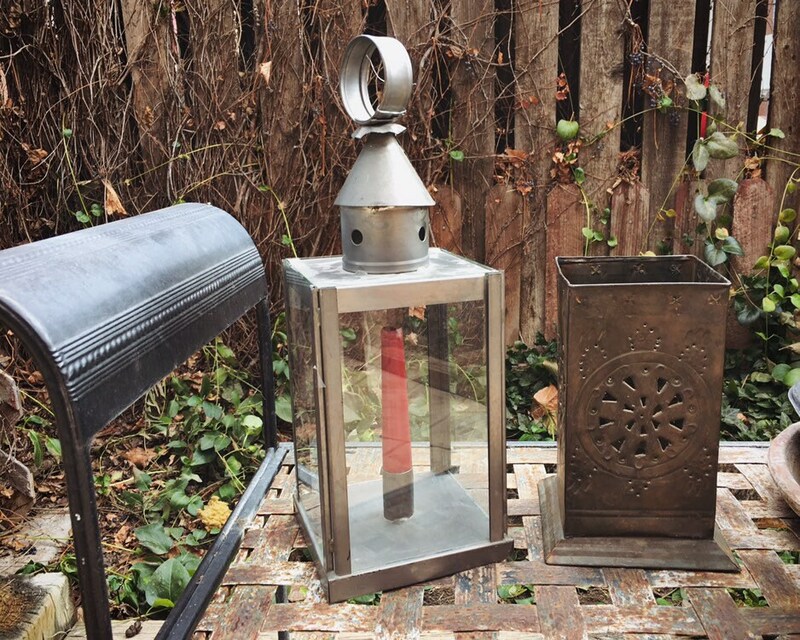 Beautiful vintage pieces for the Mexican or bohemian home.